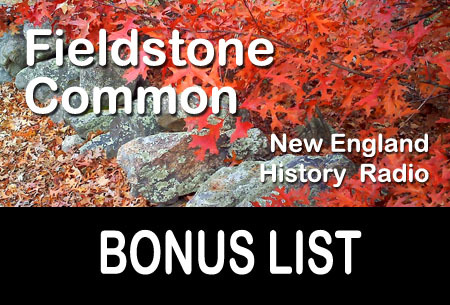 This week on Fieldstone Common our featured guest is Jerry Roberts, the author of the book The British Raid on Essex: The Forgotten Battle of the War of 1812. This book re-introduces a part of the War of 1812 that was erased from American history. Jerry Roberts has been in the history business for over 30 years. 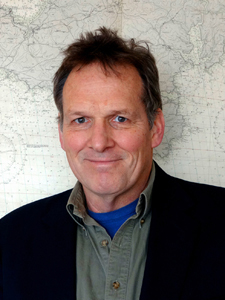 He has served as Vice President in charge of Exhibits at the Intrepid Sea Air Space Museum in New York City, Executive Director of Connecticut River Museum in Essex CT, and Battlefield Historian for the British Raid on Essex Project. He has designed and built over forty exhibits, has written or co-written several books and documentaries and has published dozens of newspaper and magazine articles. Roberts is an avid sailor and merchant marine master and has navigated the eastern seaboard in small boats and historic vessels from The Gulf Coast to Nova Scotia. He now lives overlooking the Connecticut River with his wife and two children where he continues to write about adventures large and small while designing exhibits and public programs. This is the dynamic account of one of the most destructive maritime actions to take place in Connecticut history: the 1814 British attack on the privateers of Pettipaug, known today as the British Raid on Essex. During the height of the War of 1812, 136 Royal marines and sailors made their way up the Connecticut River from warships anchored in Long Island Sound. Guided by a well-paid American traitor the British navigated the Saybrook shoals and advanced up the river under cover of darkness. By the time it was over, the British had burned twenty-seven American vessels, including six newly built privateers. It was the largest single maritime loss of the war. Yet this story has been virtually left out of the history books—the forgotten battle of the forgotten war. This new account from author and historian Jerry Roberts is the definitive overview of this event and includes a wealth of new information drawn from recent research and archaeological finds. Illustrations and detailed maps bring the battle to life. Hard cover; 197 pages with appendices including transcriptions of original documents, a chronology, end notes and an index. 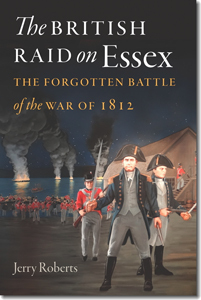 The British Raid on Essex is available for purchase from Amazon.com and other booksellers. In this interview Jerry Roberts captivates us with the riveting story of a long forgotten but dramatic raid on the town of Essex, Connecticut during the War of 1812. The casualties during the raid were minor but the devastation was great with the destruction of over 25 vessels being built in Essex. Learn about the traitor who helped the British navigate their way up the Connecticut River and how the British escaped despite being surrounded by American troops. One copy of The British Raid on Essex: The Forgotten Battle of the War of 1812 is given out to the Fieldstone Common audience courtesy of Wesleyan University Press. Congratulations to our winner and thanks to Wesleyan University Press for their generosity in donating the book! Question: What’s that’s new stuff in the Fieldstone Common title (FC 95)? Answer: That makes it easier, especially for iTunes and other podcast listeners, to keep track of which episode they are listening to. FC stands for Fieldstone Common and 95 is the number of the episode.